The Green-GO Beacon is a call indicator. 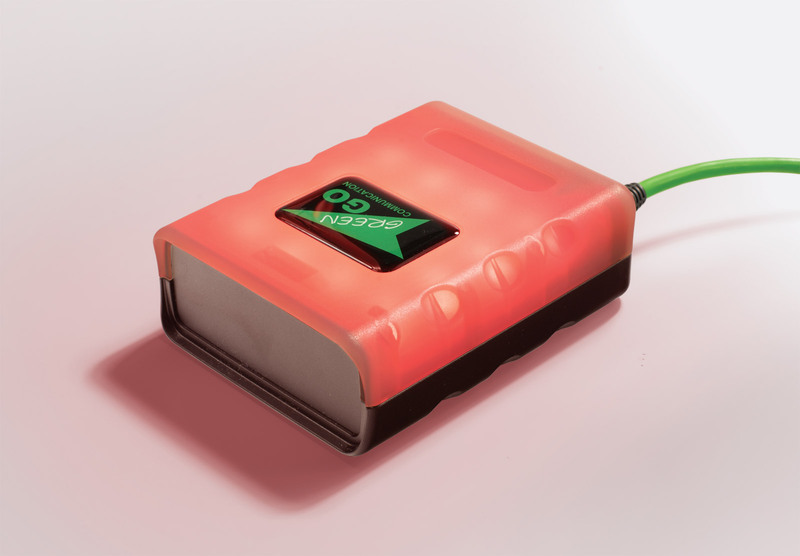 It has a transparent casing and bright interior LEDs that will emit a flashing signal when receiving a call. 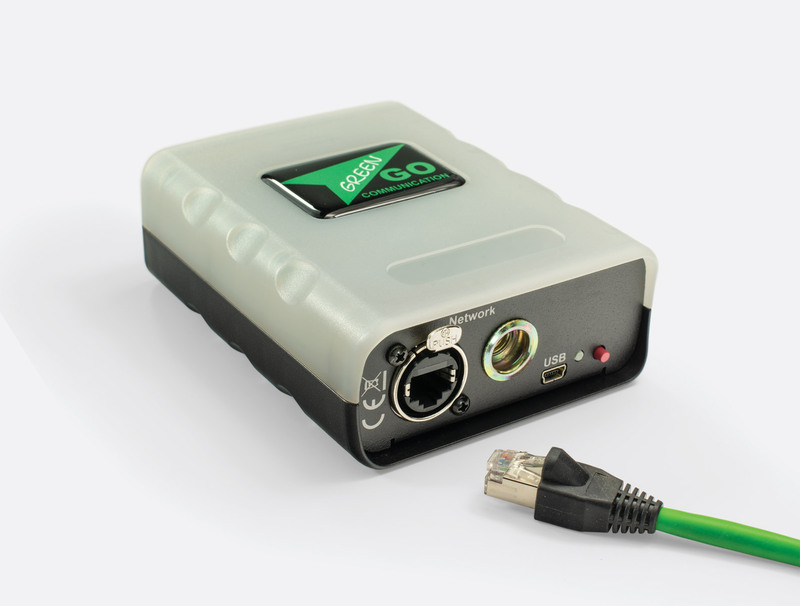 It communicates over the network with other Green-Go intercom stations, where each station is connected to a network switch using standard Ethernet cabling. The Beacon is designed to be linked to a specific group or single user and will flash brightly when a 'Call' alert signal is received on that channel. Pressing a red button during a Call will programme the Beacon to remember the group or user emitting the Call signal. The 16 RGB LEDs can be programmed to emit different colours to suit a specific requirement. Programming is via the mini USB connector on the rear of the device. Power is supplied via the Ethercon socket, also on the rear, using power over Ethernet (PoE) from the network switch. The rear also has a standard microphone-stand thread (3/8 inch), for mounting on a microphone stand or similar. Power source: PoE (802.3af-2003 Standard). Dimensions:145 x 85 x 30mm. Weight: 400g.